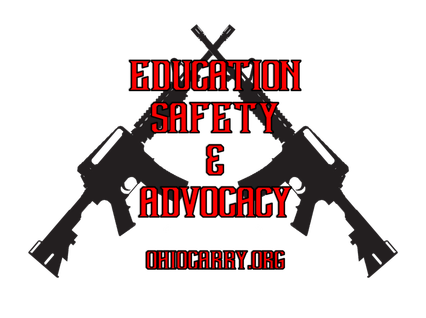 Ohio Carry was founded in 2012 as the premier firearm rights and second amendment education & advocacy organization in Ohio. either openly or concealed. We support both ways of carry and see them both as equally beneficial." Ohio Carry is on Social Media! ​Ohio Carry Inc- founded 2012. While Ohio Carry strives to bring you the most up-to-date laws and facts, nothing within this website is to be considered legal advice. Consult a lawyer when any firearm issue or law is of concern. Ohio Carry is not responsible for any legal or civil action taken against anyone as a result of any topic on this site or any of its affiliated sites. We make every effort to provide correct information, however, the legal landscape surrounding firearm laws and carry is fluid and subject to a myriad of political influences in Ohio. Therefore, any and all information you gain from this site should be independently verified!